We hope the new ruler of Wirtland will continue our mission! 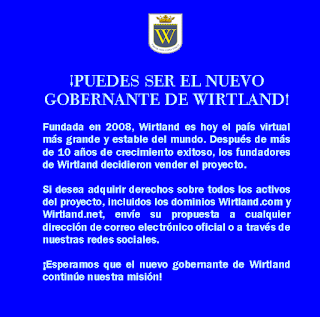 Si desea adquirir derechos sobre todos los activos del proyecto, incluidos los dominios Wirtland.com yWirtland.net, envíe su propuesta a cualquier dirección de correo electrónico oficial o a través de nuestras redes sociales. 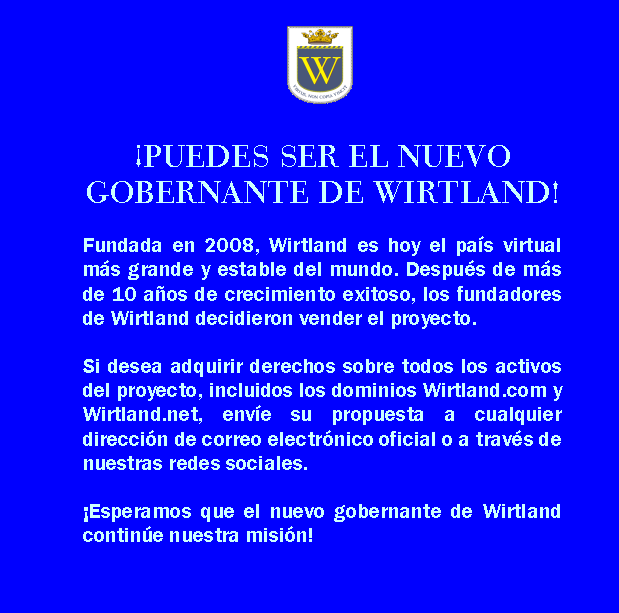 ¡Esperamos que el nuevo gobernante de Wirtland continúe nuestra misión! 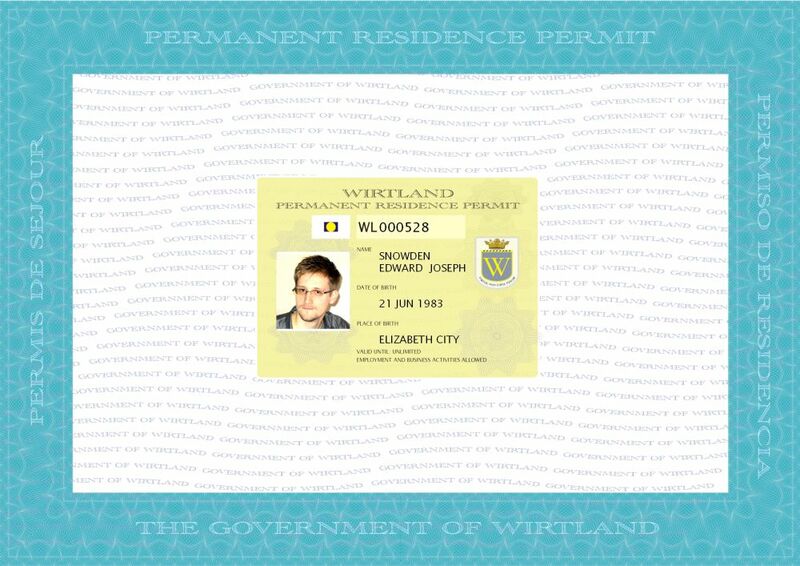 Если вы хотите приобрести права на все активы проекта, включая домены Wirtland.com и Wirtland.net, пожалуйста, напишите нам по любому из наших контактных адресов или через наши социальные сети. 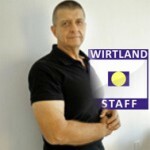 Government of Wirtland is pleased to communicate that Boris Siomin was appointed as official Representative of Wirtland. His geographical location is Israel. His communication languages are English, Russian, Hebrew. 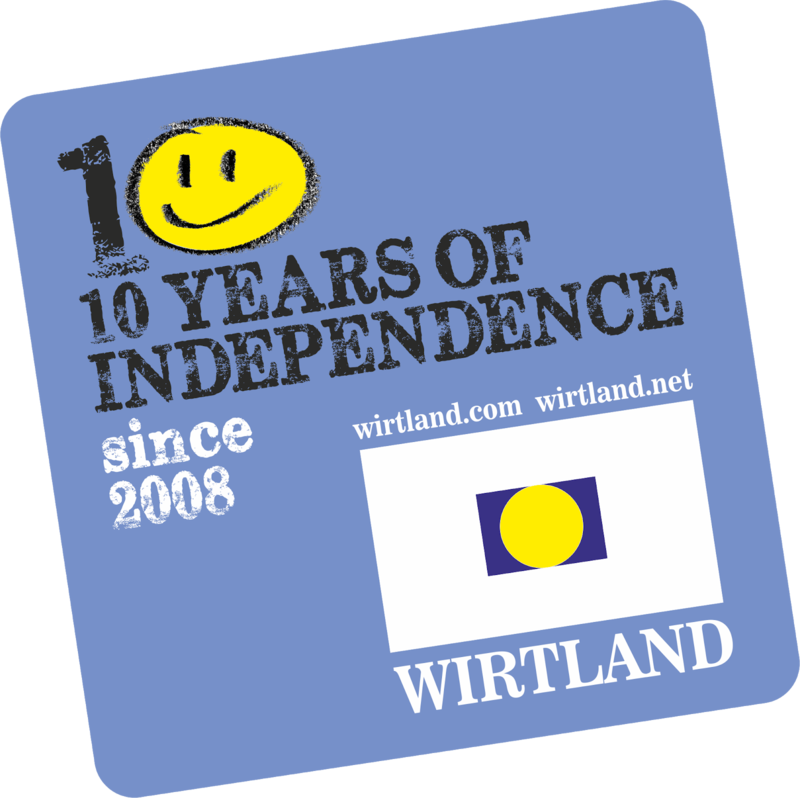 Wirtland extends warm congratulations to Boris! 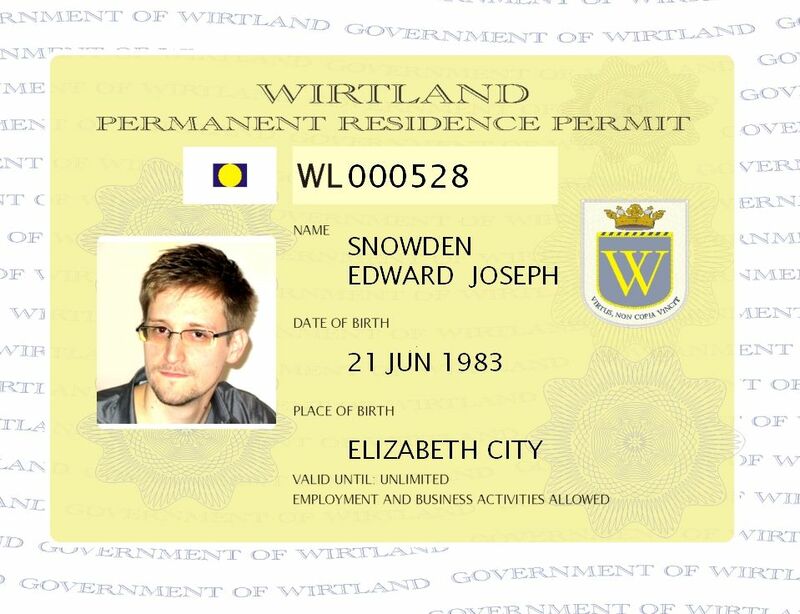 He became the first Representative of Wirtland, having responded to announcement published on February 9th. 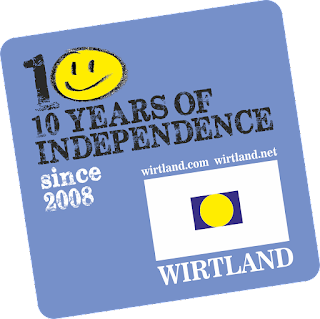 We hope that before long Wirtland will have an effective network of Representatives in many cities of the world. The Representatives will offer assistance to new members and answer questions. 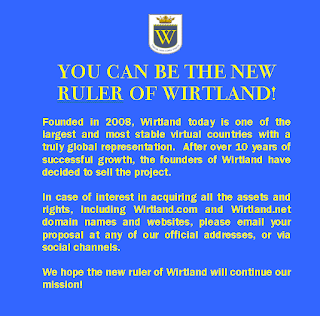 The status of official Representative of Wirtland will be regulated by special Law which is currently under development. 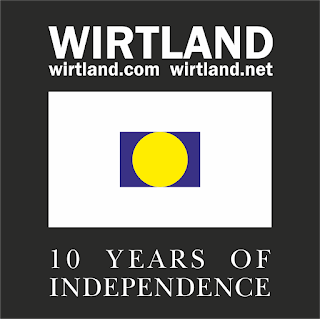 The Representatives will have an access to a special group Wirtland Staff. 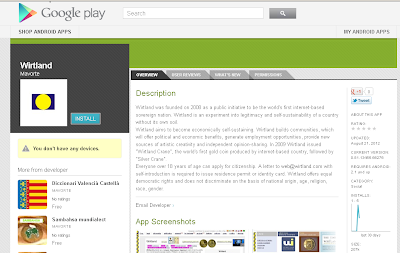 The nearest Representative can be found easily using the map here. 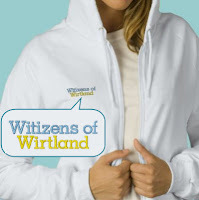 Wirtland's social network Witizens of Wirtland (WoW) - www.wirtland.net - is currently experiencing technical difficulties. The reason is unclear - it may be some technical problem or a hacker's attack. You can still browse the WoW site, but may encounter problem with new member registration and sign-in, and some interactive capabilities may be restricted. 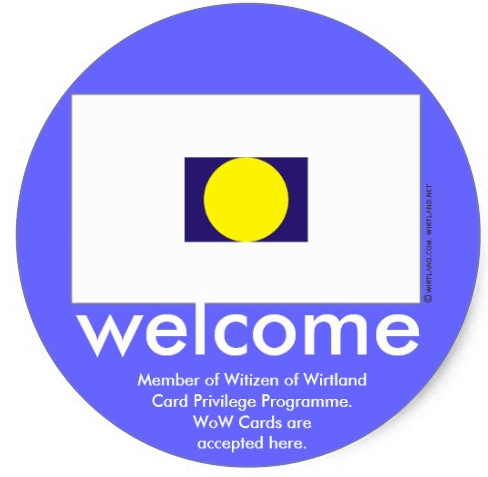 Until the WoW functionality is back to normal, we suggest to use official Wirtland Group in Facebook for interaction and new member registration. 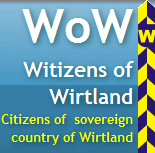 Witizens of Wirtland (WoW) - our social network - has been attacked. 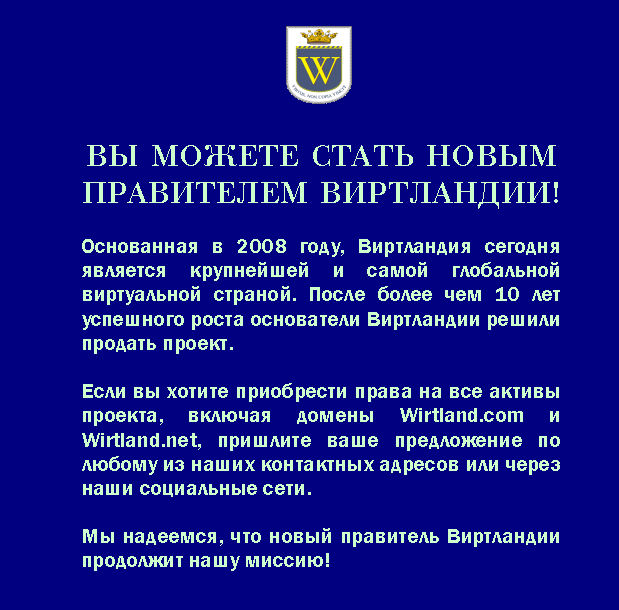 Wirtland.net became unavailable. 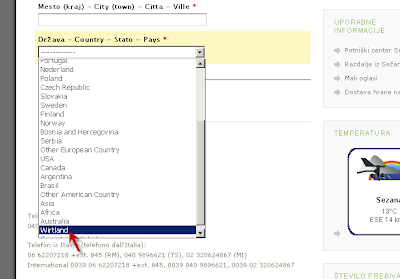 Our hosting provider reports that all the files and backups disappeared. We are working to restore or, rather, rebuild the network. 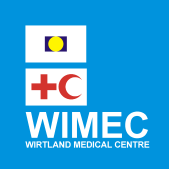 Thank you for cooperation and support. 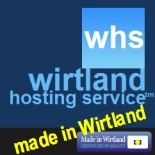 Once the new platform is up, it will re-appear under the old Wirtland.net address. 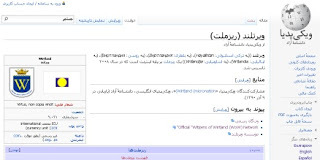 Today I received a message from Wikipedia, that someone deleted Wirtland entry from English Wikipedia! The guy who did this is “…a conservative Christian from west-central Ohio, currently in graduate school in Indiana…” (as he tells himself). 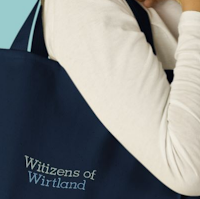 In a few minutes after this was posted in Wirtland's facebook page and other medias, Wirtland's citizen Ivan Camilo Quintero Santacruz quickly acted to restore the Wirtland article. 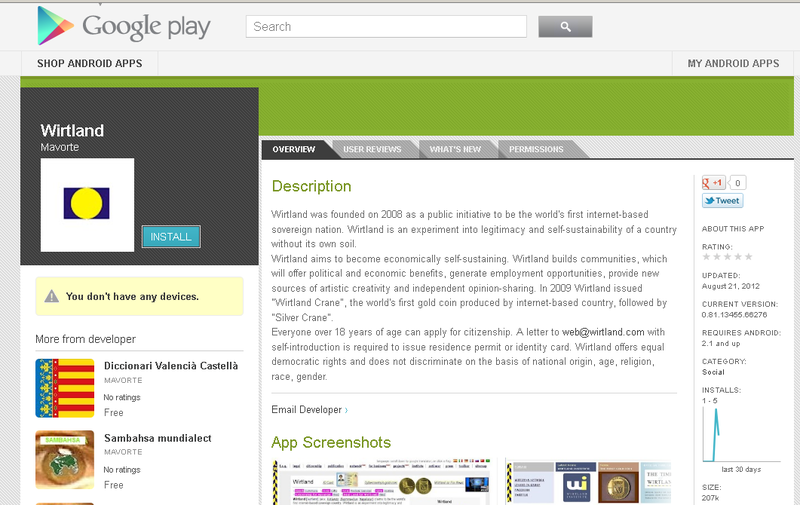 Apparently, Ivan has the editor's rights at Wiki. Thank you, Ivan, bravo! However, the article still has a subpage for discussion about deletion (here), where registered users may oppose or support it. 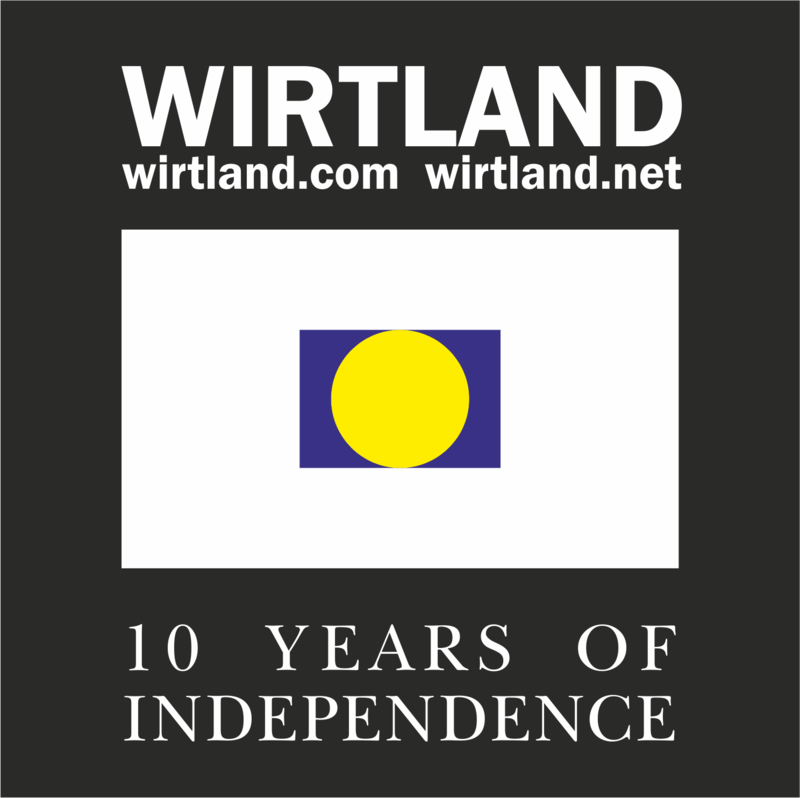 We wanted to add that the Wirtland article in English Wiki has been running for 5.5 years without problems. 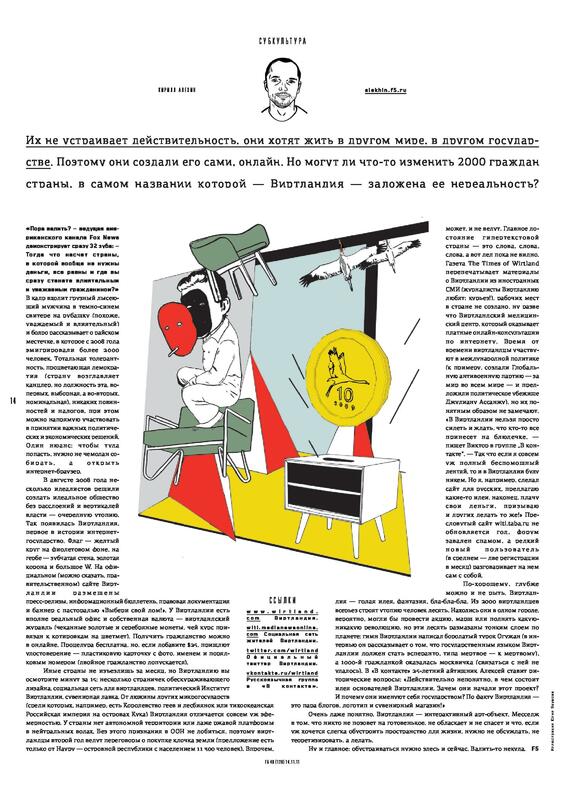 Also, it has "sister articles" in 9 other languages - in Български (Bulgarian), Español, Esperanto, فارسی (Farsi), Français, Interlingua, Русский (Russian), Türkçe, Українська (Ukrainian). The Ukrainian Wikipedia became 9th Wikipedia to feature an entry on Wirtland!